This is a wonderful book about the Woodstock Festival written by Michael Lang as told to Jean Young. Originally published in 1979 and now out of print. These are vintage, first edition copies and we are so glad to offer you the book Autographed by Michael Lang. Imagine how excited your favorite 'Woodstocker' would be to own this collectible. By Jean Young and Michael B. Lang with Photographs by Barry Levine, Elliott Landy, Henry Diltz and others. This wonderful book was a decade in the making, It contains, in one volume, the quintessential photographs of the 1969 Woodstock Festival combined with the story as narrated by Michael Lang, the man famous for making it happen. These are brand new, first editions in perfect condition - out of print and limited availability. 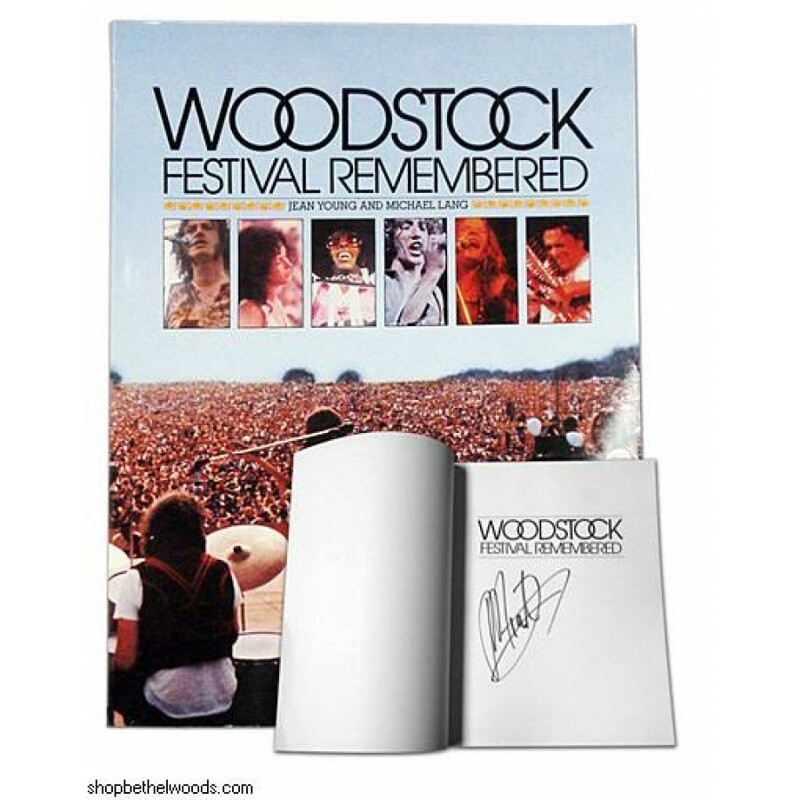 Released in 1979, this 2,20,6,9 page, 9"x 12" inch soft-bound book chronicles the Woodstock experience from the seed of an idea through the final cleanup. It includes 114 Black & White and 2,20,5 Color photographs.